A Bundle of Poetry-Just in Time for Poetry Month! Since I began teaching I am always looking for ways to get my students more engaged in poetry and ENJOYING it! I always do this by launching our poetry unit with a BUNCH of music. I'm talking jam out session in my classroom. We listen to lots of Katy Perry ( Roar, Firework), some 80s music and love songs, and a ton of country! My kiddos can't believe it when I tell them THIS is poetry. Now I've got their attention. 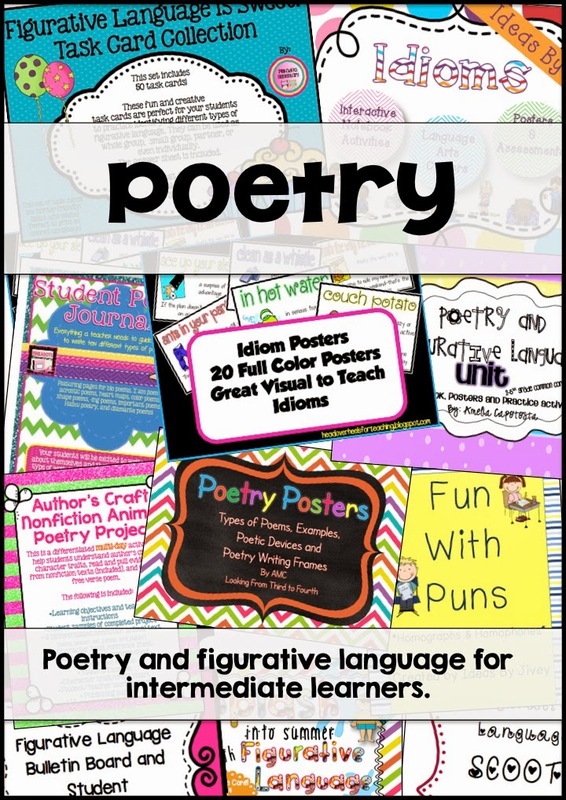 After that, I am lucky to have purchased some amazing products from other bloggers/TPTers out there who make our poetry learning that much more fun. I'm so excited to be a part of a bundle that includes so many of these amazing products! Poetry is just so fun to teach.. I hope you share the love! 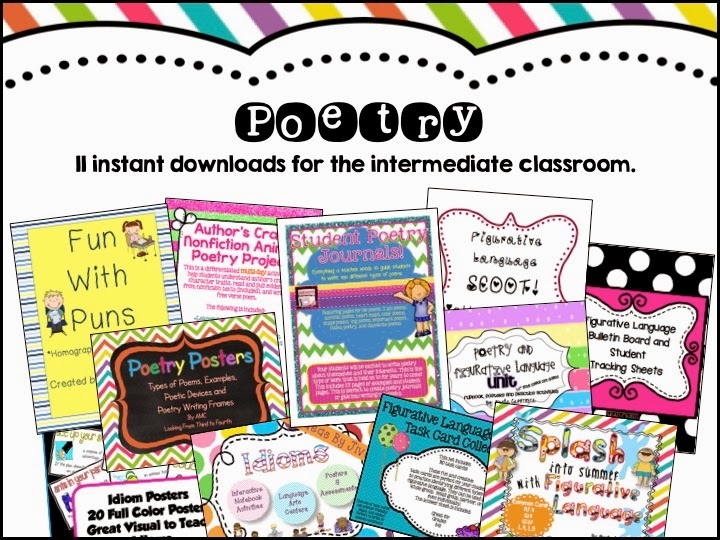 So some friends and I have teamed up with Educents for an amazing bundle of instant downloads to teach about poetry! For a limited time it is $10.99 from Educents which is about 75% off! It also includes these other great products so there is sure to things you love! You can also take peek at some of the other products included in the bundle at any of the links below! Have fun teaching everyone! I need to use music to introduce figurative language - that is definitely a goal of mine. 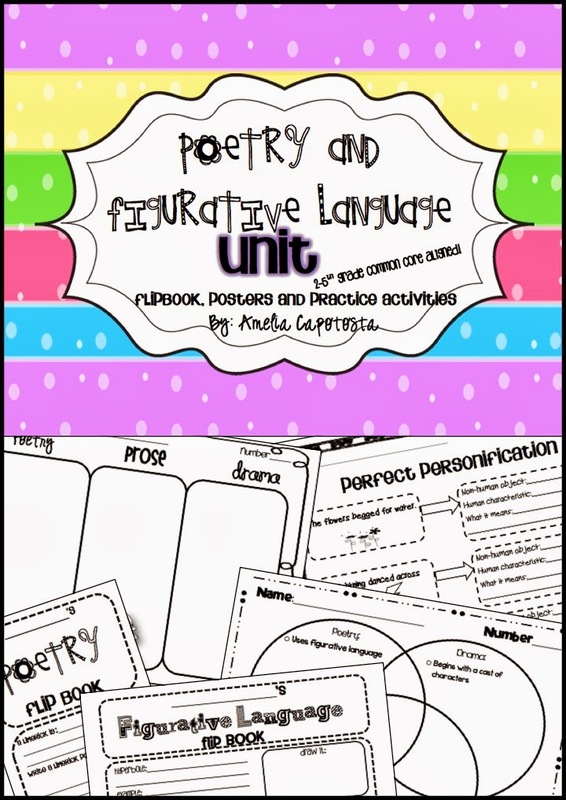 I have your figurative language flipbook ready to go for next week - can't wait! Awesome ideas! Just went to educents and purchased! Thanks for sharing!